Allow me to begin by congratulating you on your assumption of this monthâ€™s Presidency of the Council. I would also like to welcome your focus for this debate on the specific role played by womenâ€™s civil society organizations in conflict prevention, resolution and recovery. Thanks must also be extended Ms. Bachelet, and Mr. Ladsous for the expertise they provided through their briefings earlier today. I also thank the Secretary-General for his report on Women Peace and Security. 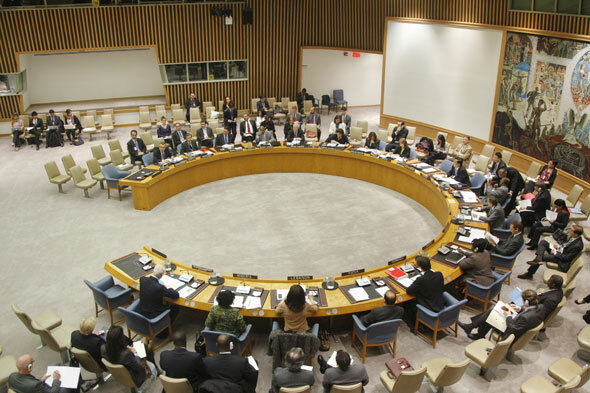 Through its twelve years of existence, Security Council resolution 1325 and the subsequent related resolutions have been helpful tools, to not only bring to the attention of the international community the importance of the women, peace and security agenda but to strengthen womenâ€™s participation rather than simply branding them as victims. 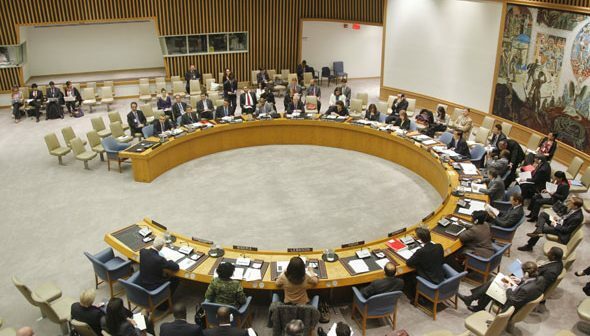 The Afghan Government remains committed to implementation of Security Council resolution 1325 in Afghanistan and its promotion worldwide. Afghanistan is designing a comprehensive plan toward implementing resolution 1325 through its National Action Plan for 1325 (NAP). The Government of Afghanistan is fully committed to implementing NAP, which will be a four-year plan focused on women, peace and security. We appreciate the generous support of the Government Finland for the drafting process. We have established a steeringÂ committee comprised of seven line ministries, the Commissioner for Human Rights, and members of civil society, which meet under the chairmanship of the Minister of Foreign Affairs to effectively coordinate the implementation of NAP. In addition, we have established a technical working group at the Director General level from those line ministries and an advisory committee, which includes the UN offices in Kabul and international staff. 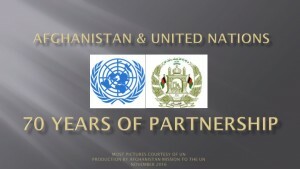 The inclusion of UN partners has been invaluable in bringing together knowledge and expertiseÂ from post conflict countries to enable Afghan movement towards the greater implementation of NAP. We are looking forward to the support of UN Women for assisting the Afghan Government in the implementation of NAP for 1325. Cooperation on the bilateral level has also played a significant role in ensuring that our architecture to implement 1325 is firmly in place through the provision of technical and financial support and we look forward to engaging with our bilateral partners through transition and beyond. The Secretary-General expressed concern in his report in regards to the slow global progress in womenâ€™s participation and representation in peace talks. 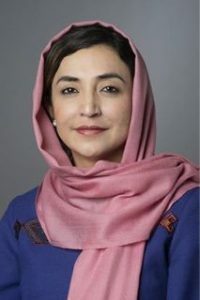 The Afghan Government recognises the vital role that women have in theÂ peaceful resolution of conflicts, and remains committed to including womenâ€™s rights throughout the peace process. Women are playing an important role in regards to the Afghan-led reconciliation, including through participation in the High Peace Council. We see a marked improvement in the position of women through a pronounced presence of women in political and social life. Currently, there are 69 female members of parliament, making up more than a quarter of the total number of parliamentarians. There are also encouraging signs for the future of womenâ€™s social participation. In 2001, 5,000 girls were enrolled in school in Afghanistan; now, according to figures from 2011, there are 2.7Â million girls enrolled in schools across the country. Continued participation of young women in education will ensure not only a brighter future for them but also for Afghanistan as they become the police officers, government officials and leaders of the next generation. Additionally, we have ensured there are strong links between women in government and civil society groups to coordinate activities for more involvement of women at all levels. Our civil society has been vital helping Afghanistan rebuild itself from decades of conflict. Womenâ€™s civil society groups have been particularly crucial in acting as a united voice for Afghan women. An informal advisory group with the Afghan Government, women Parliamentarians, and Civil society members meet directly with President Karzai on a regular basis to discuss issues of womenâ€™s security, women in leadership, womenâ€™s rights, and cases of violence against women. The civil society organizations played a championing role in the drafting of the Elimination of Violence Against Women law enacted in 2009 and continuing support for the National Action Plan. Currently, a strong coalition of civil society groups have been focused on providing training on the legal and civil rights of women as well as the relevance of the implementation of Security Council resolution 1325 to both men and women in provincial districts. Violent attacks against innocent Afghans â€“ women, men, girls and boys -Â in some parts of the country remains a threat to the overall peace and security of Afghanistan. Violence against women and girls in the country is unacceptable. The Government of Afghanistan and the international community must continue to address ongoing violence to bring much needed lasting peace to Afghanistan to provide a stable situation in which the human rights of all Afghans can be fully respected. To this end, with a focus on training and equipping the army, we have seen an encouraging growth in the number and capabilities of our security forces. This has included the participation of women in the Afghan National Army where they are serving in a variety of different capacities including highly technical roles such as pilots. Women are also continuing to join the Afghan National Police despite receiving threats against their lives and discouragement, at time even from their own families. Having women participate in these capacities ensures that women in the community have trusted mentors within the ANA and ANP. The Government of Afghanistan looks forward to continued cooperation with the international community, to honour and implement resolution 1325 within Afghanistan and worldwide. Through resolution 1325 the international community made a commitment to the women, peace and security agenda, one that still requires our full attention and dedication.